The LastPass Blog: Help Us Celebrate "National Change Your Password Day"! Help Us Celebrate "National Change Your Password Day"! 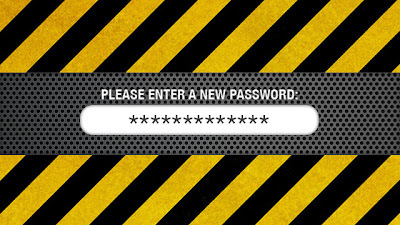 Yep, you heard us right - National Change Your Password Day, an impromptu initiative by the teams at Gizmodo and Lifehacker. In the last few days they've worked to drum up some anticipation for, let's face it, perhaps the most groan-worthy day of celebration possible. But that aside, we support their quest to spread better password practices and to push the idea of a password manager as the only efficient way to do the password thing right. We know it's difficult to inspire change for how we handle passwords. After all, who wants to spend the time and energy worrying about them? There are so many reasons not to try - we're busy, we're lazy, we don't think it will happen to us, and besides, we have our one or two strong passwords that we use everywhere, right? But there's one good reason to put some thought into passwords today, and that's LastPass. LastPass centralizes your account data, makes it easy to generate strong, unique passwords, helps you easily login to your sites, and ensures you have your data where you need it, when you need it. So in honor of National Change Your Password Day, could you do two things for us? Tell someone about LastPass, and how it's changed your life.